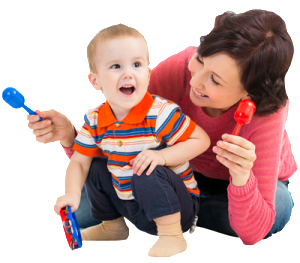 Early STEP is a fun-filled, stimulating theme-based program where little ones develop language skills naturally spontaneously through listening, observing, exploring and experiencing the language in action. Our lessons will make use of rhymes; songs; stories; puppets; language games; role play; that engage young children’s minds and foster their English language development. • By creating creative activities such as storytelling, role playing games, hand puppets, music & dance, arts & crafts activities and rhythm poet for young children. • Focus on building familiarity with the English language through real situations by learning basic vocabulary, pronunciation and listening skills correctly based on daily life dialogue. 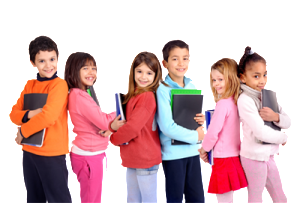 • Topic will be organised each weeks based on a variety of age-appropriate and children’s interests. Taught by native English teachers who have experience teaching young children in particular, which will have the best understanding in young children’s development and their learning skills. Story Telling English Playgroup is a lead-in course to Jolly Phonics program for 3 to 4 year olds. It primarily covers the letters of the alphabet, basic knowledge of sounds in English, Phonnemic awareness, vocabulary building and basic blending techniques. A fun filled, stimulating program will motivate little ones to develop language skills naturally through will motivate little ones to develop language skills naturally through interactive activities and making use of rhymes, songs, stories, puppets, language games, role play. Jolly Phonics Program is a four-stage course that built around Jolly Phonics and Jolly Grammar, which is aimed at establishing reading and writing skills. Children will learn the 42 main sounds used in word formation in an enjoyable, multi-sensory way. Besides single sounds, children will also learn the letter formation and blending to help them read and spell new words and also to tackle tricky words. Jolly phonics is a class full of actions and fun for young learners. 1. The 42 main letter sounds are taught. This includes alphabet sounds as well as digraphs such as sh, ai and ue. 2. Using different multi-sensory methods, children are taught how to form and write the letters. 3. As soon as the letter sounds are known, children are taught how to blend them to read and write the letters. 4. Children are also taught how to hear the different sounds in words. This is an effective way of improving spelling. 5. Tricky words have irregular spellings and children are taught how to learn these separately.